Soft, glowing skin is within reach! 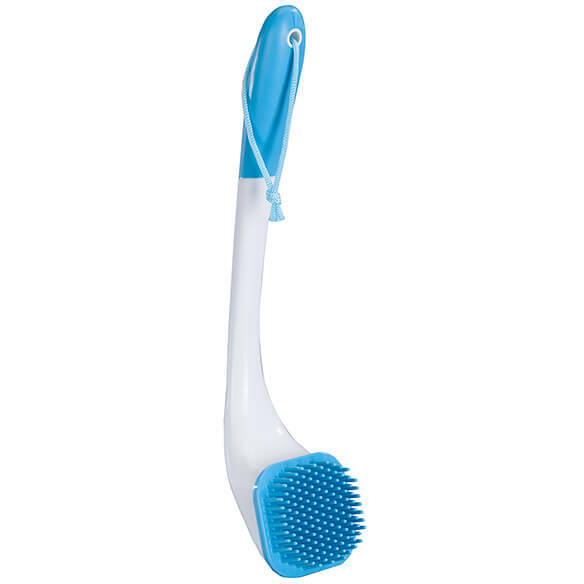 Long-reach soft silicone bath brush massages as it scrubs hard-to-reach areas such as your back, legs and feet. 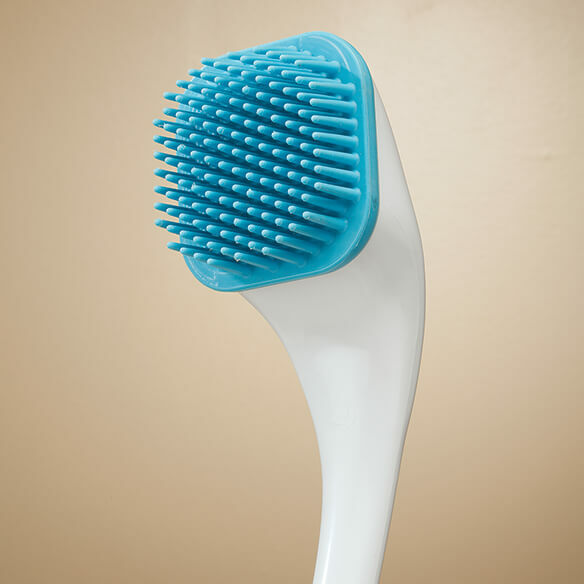 With more than 130 soft silicone bristles, it gently exfoliates as it helps promote circulation for clean, healthy skin. Be easier washing my back. 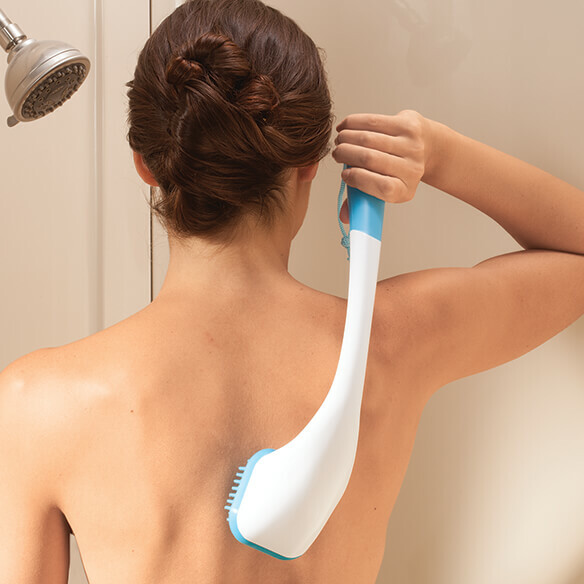 I have trouble reaching my back and this brush sounds like just what I need.